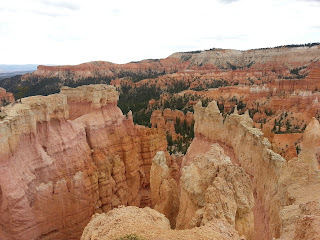 Bryce Canyon National Park…Soul Feeding Extravaganza! 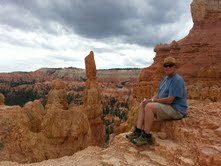 Amazing view of Bryce Canyon! 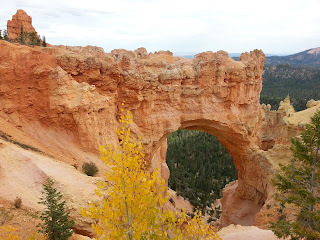 To begin with, go to the link above for “Scenic Byway 89.” This road is just a warm up for Bryce Canyon that leads you to the “Hoodoos.”http://en.wikipedia.org/wiki/Hoodoo_(geology). 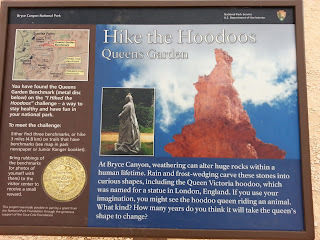 We were blown away by the geology of the entire area, especially Hoodoo formations that came from millions of years of sediment build up in huge fresh water lakes, and later once the water was gone, the hoodoo formations were exposed. Wind and water erosion continues and changes the formations over time. 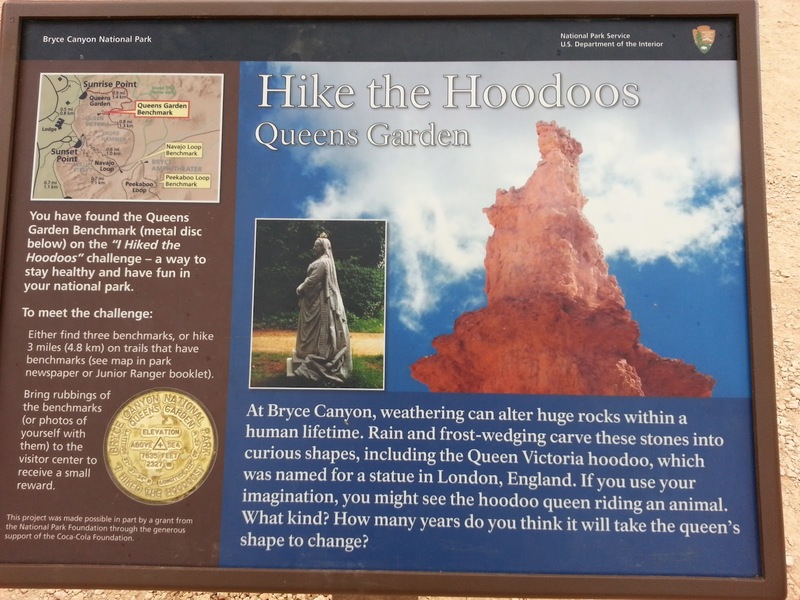 The second YouTube video clip is a great reference providing a real life account of a hike on the Queen’s Garden Trail near Sunset Point inside Bryce Canyon National Park. We found this hike to be challenging and a photo shot dream. We couldn’t stop taking pictures! Judy and I arrived in Page, Arizona last night, and went right over to a lively western theme restaurant to get a bite to eat, and listen to some great music. We both are well settled into our new adventure, and start each day very excited about what is next. There are so many surprises on this trip that make it even more adventurous than we thought. Best approach so far has been to be flexible to make changes in plans and have enough time not to be in a big rush to preplanned destinations. Next stop today is Flagstaff, Arizona en route to Sedona and the Phoenix area. We will turn our sights to the east to New Mexico, and Texas, with thoughts of exploring the Gulf Coast in a few weeks. We appreciate your thoughts for our continued safe travels. More to come……….. This entry was posted in Uncategorized on September 25, 2012 by stevesparks.